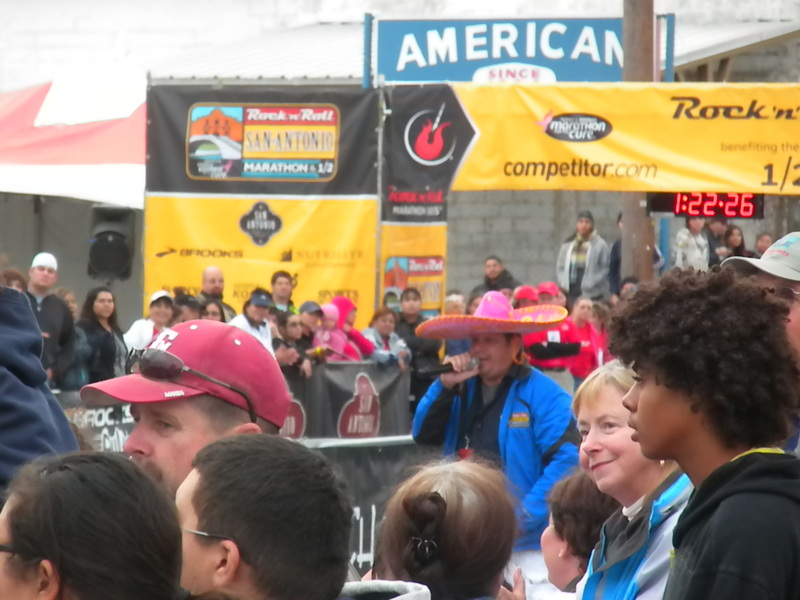 There were participants from all 50 states and 18 countries in this the largest combined marathon in Texas. 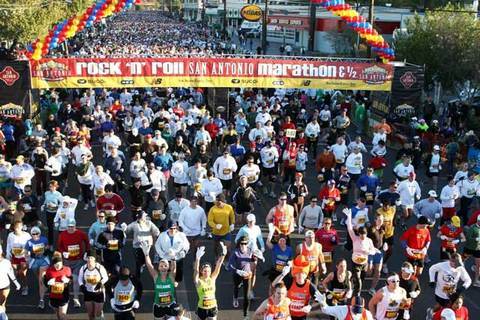 The two marathons were a gut-wrenching 13.1 and 26.2 mile journey that both started just 2 miles northeast of Downtown San Antonio near Lion’s Field (in Brackenridge Park) and finish just steps from the Alamodome. Both courses showcased the best of what San Antonio has to offer: the breath-taking Spanish Missions, historic downtown San Antonio, the King William District and the lush Mission Trails. This was an action-packed scenic race, lined with supportive spectators, thousands of cheerleaders and high-energy live local music at every mile. Bauer’s Intelligent Transportation gets a thrill out of being involved with these kinds of events. For all of your transportation needs, such as special events, commuting to work or winery tours, please call our sales department at 1-800-546-6688. This entry was posted in Uncategorized and tagged Bay Area Bus, Bay Area Commuter, Bay Area Commuter Bus, Bay Area Commuter Transportation, Bay Area Shuttle, Bay Area Transportation, Bus, commuter, Eco-Friendly, Eco-Friendly Commuter, Eco-Friendly Transportation, Event Management, Event Transportation, Green, Green Commuter, Green Transportation, Holiday, Napa, Rock 'n' Roll Marathon, San Antonio, San Francisco, San Francisco Bus, san francisco commuter, San Francisco Commuter Bus, San Francisco Commuter Transportation, San Francisco Shuttle, San Francisco Shuttle Bus, San Francisco Transportation, Shuttle, Silicon Valley, Silicon Valley Bus, Silicon Valley Commuter Bus, Silicon Valley Commuter Transportation, Silicon Valley Shuttle. Bookmark the permalink.